Charlie is a Senior at RB and this is his second year as a part of the Clarion staff. Being very interested in the field of writing and interviews, Charlie couldn't be more excited to see what this year will have to offer in Clarion. 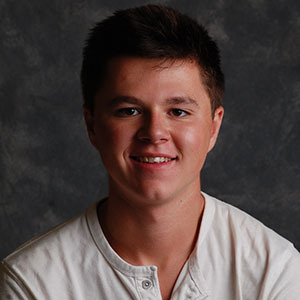 While he isn't writing for the Clarion, in his spare time he additionally writes for the Chicago Tribune's teen publication "the Mash", which is distributed once a month to schools all throughout the Chicagoland area. As for extracurriculars, Charlie is involved in Best Buddies, AST (Association of Students for Tolerance), and the baseball program. Although he decided not to tryout for the team last year, he opted to help Noah Wiza manage the Sophomore team and couldn't have been happier to have made that decision and will continue to manage in the Spring. This senior year has a lot to offer Charlie and he is ultimately excited to simply soak it all in and take advantage of all the great things he can before college rolls around next Fall. As for college plans he is currently undecided but wishes to stay in the area, possibly at UIC or Columbia. Charlie Connelly can be contacted at [email protected].